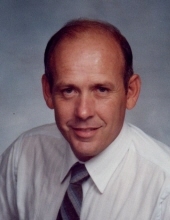 William “Bill” Carl Kroening, age 78, of Mattoon passed away Monday, March 25, 2019 at 2:45 p.m. at Heartland Christian Village in Neoga, IL. Funeral Services honoring his life will begin at 1:00 p.m. on Saturday, March 30, 2019 at Schilling Funeral Home with Rev. E. Wade Helmkamp officiating. Burial will follow at Dodge Grove Cemetery. Visitation for family and friends will be held from 11:00 a.m. until 1:00 p.m. on Saturday at the funeral home. Bill was born on July 23, 1940 in Shelbyville, the son of William A. and Evalina (Marten) Kroening. He married Sue Bridges on February 12, 1960, at Holy Cross Lutheran Church. Survivors include his wife, Sue Kroening of Mattoon, IL; children, Terry and Jan Kroening of Mattoon, IL and Julie Miller of Mattoon, IL; grandchildren, Adam (Jolene) Funk, Jordan (Olivia) Miller, Marcus (Myra) Miller, Whitney (Blake) Babbs, Tyson (Carly) Kroening, Tanner (Hayley) Kroening; step-grandchildren, Steven Mitchell and Tracy Whitaker; great-grandchildren, Ellie Miller, Walter Miller, Wesley Miller, Hattie Babbs, Braeden Miller, Owen Miller, and baby girl Funk arriving in June; sister, Marilyn Patterson; sister-in-law Patricia Hubbartt; brothers-in-law John F. (Sharon) Bridges and James (Wanda) Bridges. Bill was preceded in death by his parents William A. and Evalina Kroening, mother and father-in-law, John H. and Flossie Bridges, brother, Robert Kroening, and brothers-in-law Robert Patterson, and Carl M. Hubbartt. Growing up, Bill attended and was confirmed at Holy Cross Lutheran Church in Shelbyville, IL. He graduated Shelbyville High School in 1958. He attended Sparks Business College in Shelbyville. Bill worked as a captain on the Mattoon Fire Department, and later retired as battalion chief in 1998. He was also a plumber on his days off from the fire station. Bill loved spending time outside, working in the yard, gardening, washing and shining his vehicles, and playing with his grandchildren. He first met Sue at the Silver Star Roller Rink. They also enjoyed square dancing and were members of the Top Spinners Square-Dance Club for several years. He loved antique auctions, flea markets, and was quite accomplished at refinishing furniture. Bill was a member of St. John’s Lutheran Church in Mattoon. He also attended Buck Grove Community Church for several years before becoming too ill to attend. Above all, Bill had a strong faith in God and he loved spending time with his family. Memorial donations in his honor may be given to Lewy Body Dementia Association. 912 Killian Hill Road S.W. Lilburn, GA 30047. Online condolences may also be expressed at Schilling Funeral Home’s Facebook page. To send flowers or a remembrance gift to the family of William Carl Kroening, please visit our Tribute Store. "Email Address" would like to share the life celebration of William Carl Kroening. Click on the "link" to go to share a favorite memory or leave a condolence message for the family.